Imagine having a stereo and video signal in every room of the house! With a whole home audio video distribution system, you can. The latest control convenience utilizes your iphone, ipad or other smart mobile devices to wirelessly operate your entire system. You have the flexibility of listening to and accessing MP3’s, iTunes, choosing preset radio stations, XM or Sirius satellite radio, internet radio or standard CD players. Operation of our systems is simple, with navigation easily learned by even a non-technical person in a matter of minutes. You also don’t have to watch or listen to the same thing throughout the entire house. Choose a source for each room if you like, and give multiple listeners the chance to enjoy different sources. Total Home Entertainment’s whole home audio video distribution systems can be done in new construction, and can also be retrofitted for most existing homes. By using a whole home audio video distribution system, you have more elegant design possibilities. You can locate all of your equipment in a remote location. You can then place speakers and video displays inconspicuously wherever you like in your rooms, and use a keypad in the wall of each room to control the system. 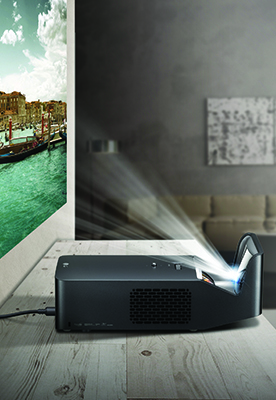 With Total Home Entertainment’s systems, parties become easier and more entertaining. Have you ever tried to fill a house with music, and had to have the system so loud it drowned out all the conversation? With our systems, you can go to the keypad, touchscreen or ipad in each room and adjust the source and volume accordingly. Or if you like, with a one-button push, the entire home music system can be shut off. Many systems now allow you to start out with a basic whole home audio video distribution system and expand it later to include the convenient home automation features of lighting control, climate control, camera control, and much more!